A cupcake pick is a fun and easy way to add polish to your cupcakes. 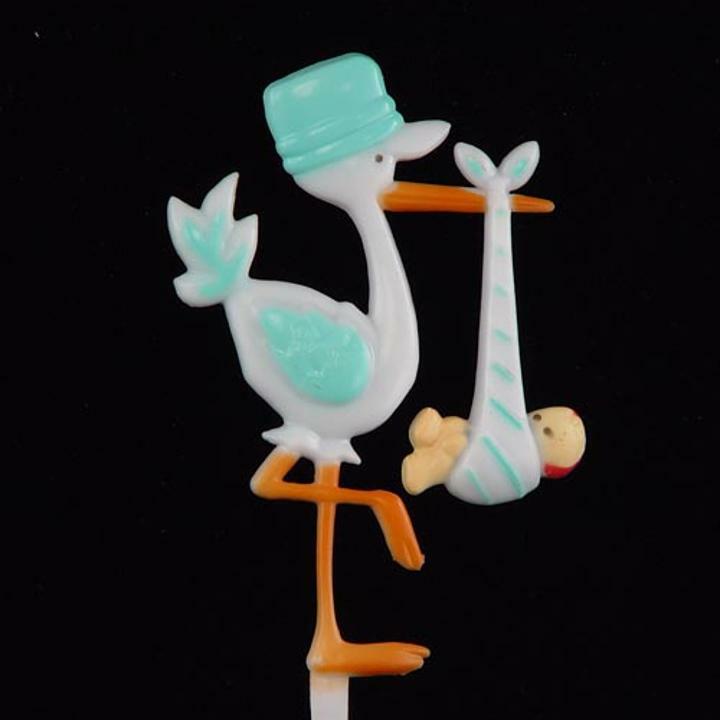 This adorable baby blue pick features a classic stork carrying a baby boy. The upper portion of the pick measures 4.5" high x 3" across with an additional 2.5" for the pick. Cake picks are perfect for baby showers, gifts, floral arrangements, and crafts.